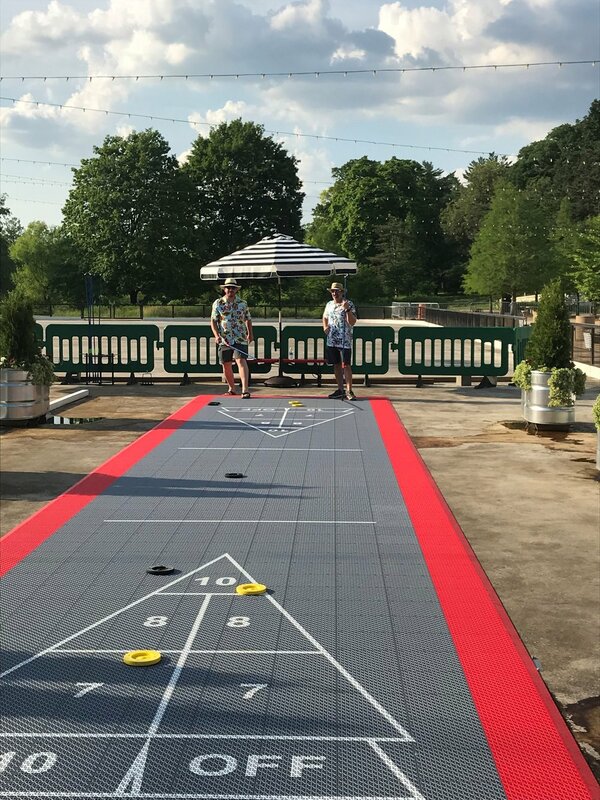 Shuffleboard has endured as a popular game for centuries and is a game of skill, timing, and good old fashion competitive comradery. Not only is it an activity that can be enjoyed by nearly anyone, it is a social sport that brings people young and old together. The flat surface of the rink is the perfect base for this sport and the 1957 mid-century modern building is the perfect backdrop for this exciting nostalgic American pastime.